I'm already planning two trips in the coming year and I couldn't be more excited. One short vacation coming soon and a long trip in the end of the summer. Can't wait to go to placed I've never been to, explore new things and most importantly, exploring them with the person I'm going with. It may sound weird, but I'm actually looking forward to the final exams in May. Because then, summer vacation starts and then I'll have time for everything again and more. Also, when results are out in August, it will mean that I can go into second year, Advanced, and that I'm one year closer to my degree! I'm looking forward to blog in 2015 as it has brought so much fun to me in 2014 and the years before. It's nice to write things 'off' and to unleash my creativity sometimes. Planning for a nice fresh up for my blog! The new year always brings a little excitement with it. All the things that will happen that no one knows yet. 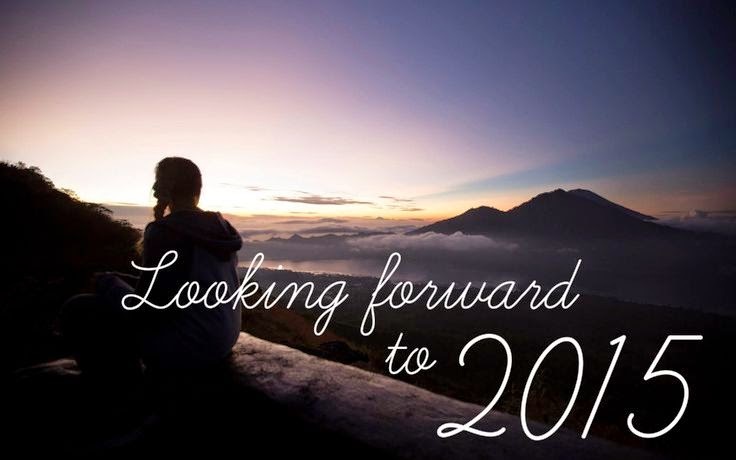 Someone told me (no, not a friend or family member, keeping things vague here ;-)) that 2015 will be a great year for me. "Just wait and see" I was told. I didn't really know what to say about it because, what does that person know? But it opened my eyes. While I was afraid for certain things, those words made sense. To actually look forward to things! Even the scared and the unknown.